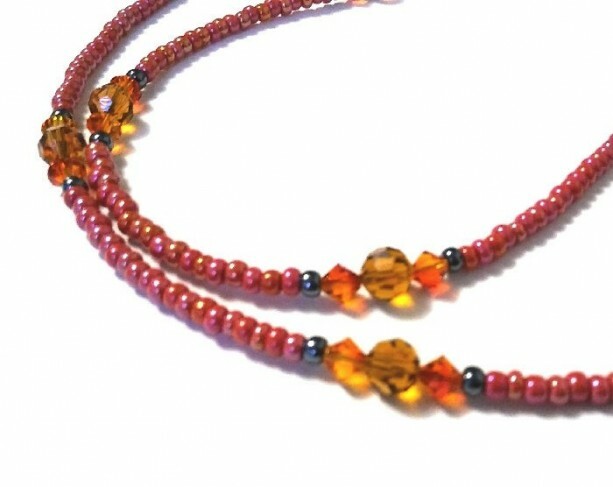 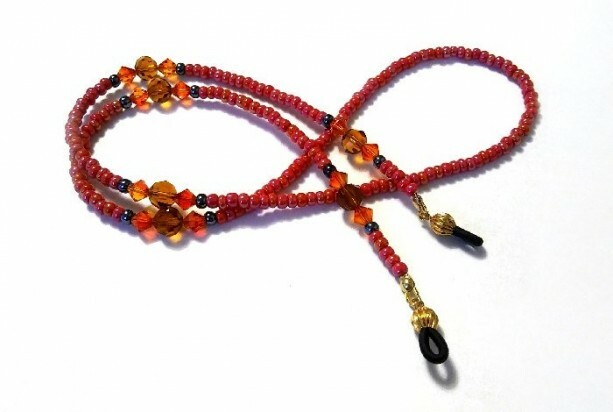 Beaded Chain Holder for Eyeglasses, Eyeglass Retainer, Crystal Eyeglass Jewelry, Eyeglasses Chain for Women, Gift for Mom, Grandmother Gift I just love the red and Hematite Czech beads. 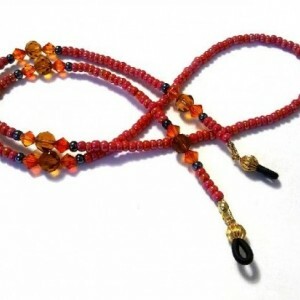 These particular type of beads are very popular among beaders and come in an array of colors. 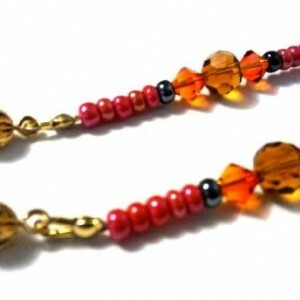 The Czech beads are used in many projects by those who love them just as much as I do. 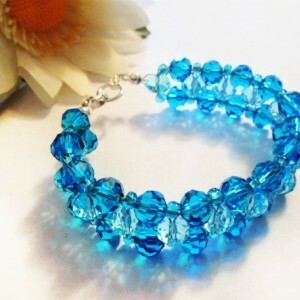 I thought to add crystals and what better beads to use than Swarovski Elements? 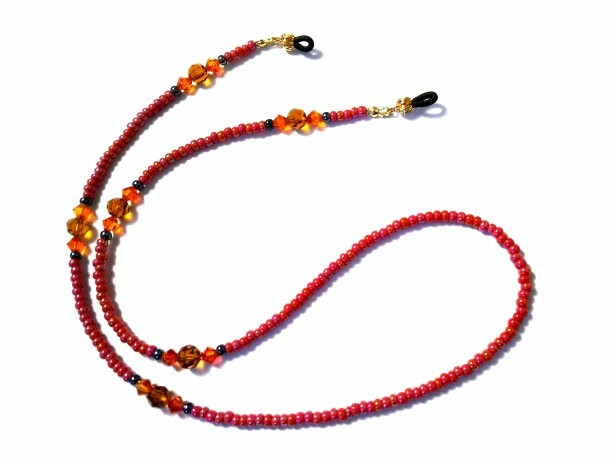 The bicones are gorgeous, Fire Opal and the faceted beads are rich Mocca/Amberish color. 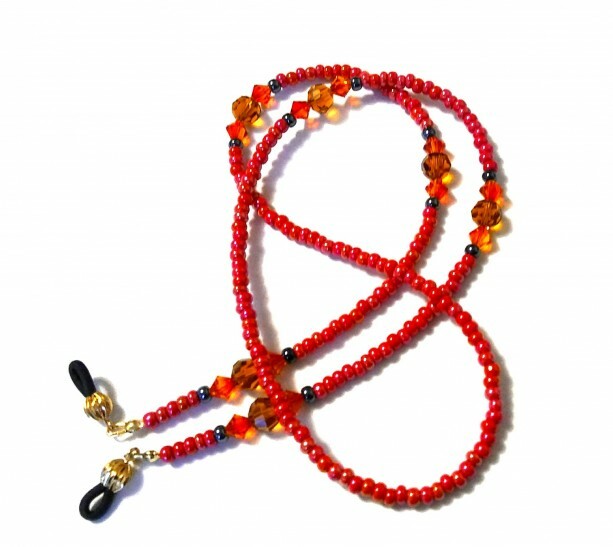 From rubber grips to the end, it measures 27 inches long. 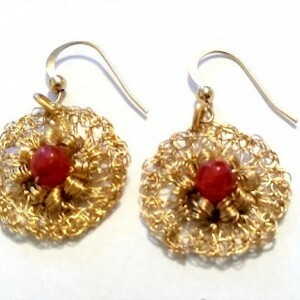 Why not gift yourself or someone special on Mother's day. 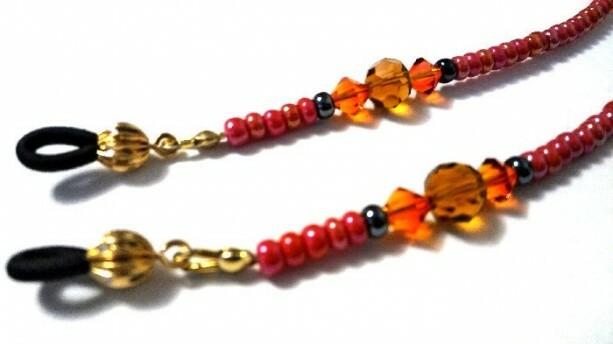 Makes a great gift for those who love eyewear jewelry.